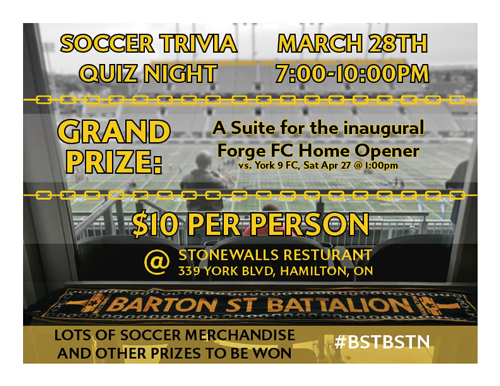 On March 28th @ 7pm we are hosting our first pub trivia night at Stonewalls Restaurant at 339 York Blvd, Hamilton, Ontario . Create your teams (or we can certainly find you a team), come on out and half a laugh. 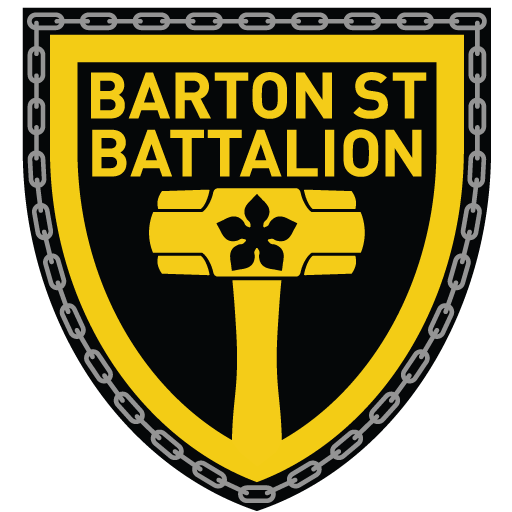 Battalions! Pub night is back and we have a fun filled event in store. This time on a Sunday evening (which hopefully works out best for the majority) at The Capitol Bar. There will be merch for sale, as well as some big news and plans to be announced, plus no doubt some reminiscing over the launch of our team Forge FC. 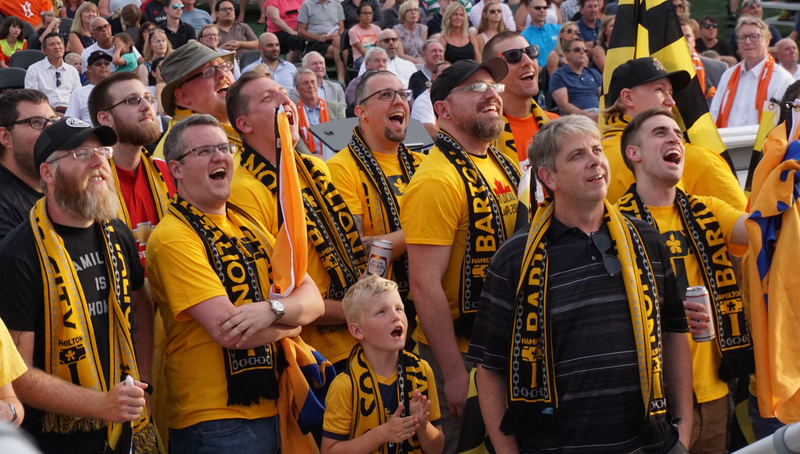 Bring your scarves, grab a drink and catch up with the first supporters group of CanPL and the loudest to launch a team. If you are new to the group or looking to join this is the perfect way, come say hi, get to know the group and introduce yourselves as well as picking up a scarf.